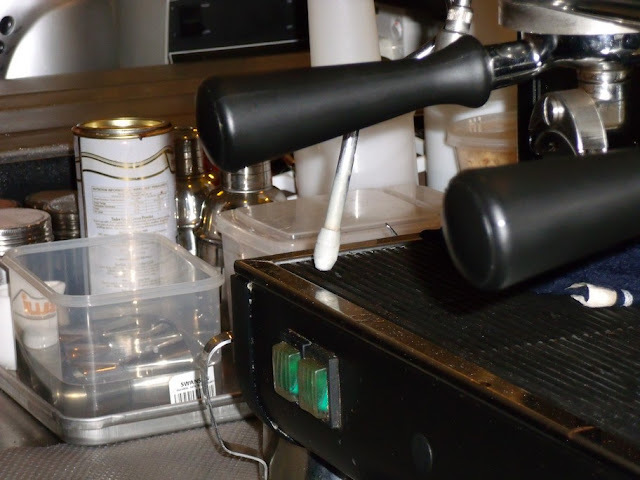 This is an excellent write-up on the many different types of Espresso Machines by KK Yoon. If you still have not visited the forum, now is the time. 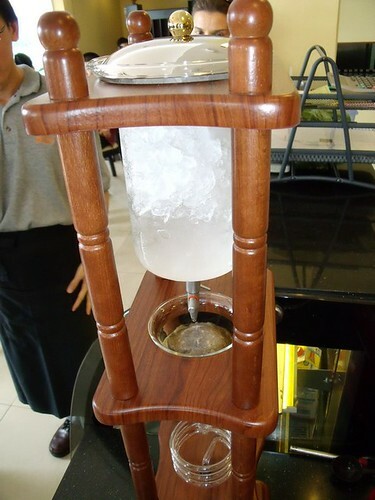 Cold water is pumped through a serpentine path inside a thermoblock ( heated metal block ) to brew espresso. To produce steam, the thermoblock is heated to a high temperature and the pump is then turned on in pulses. 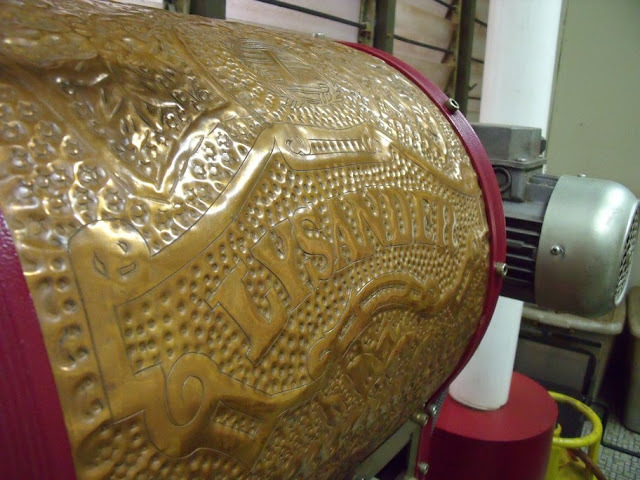 Each pulse feeds a small amount of water into the thermoblock – the water immediately boils into steam. Click on the Picture to go to the main article. 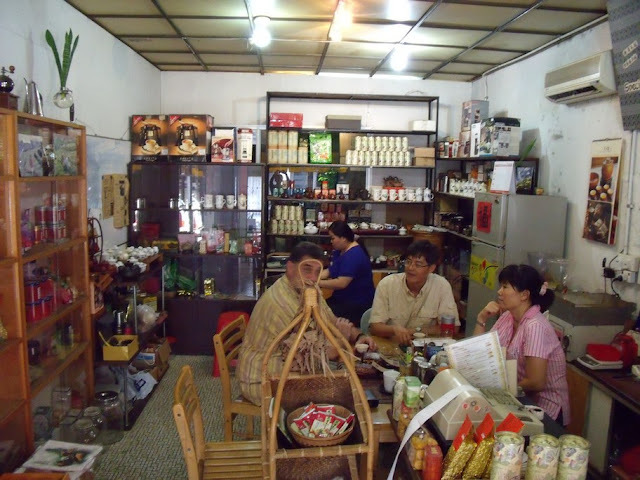 This entry was posted in Coffee, Espresso Machine, Malaysia on July 31, 2010 by KF Chan. 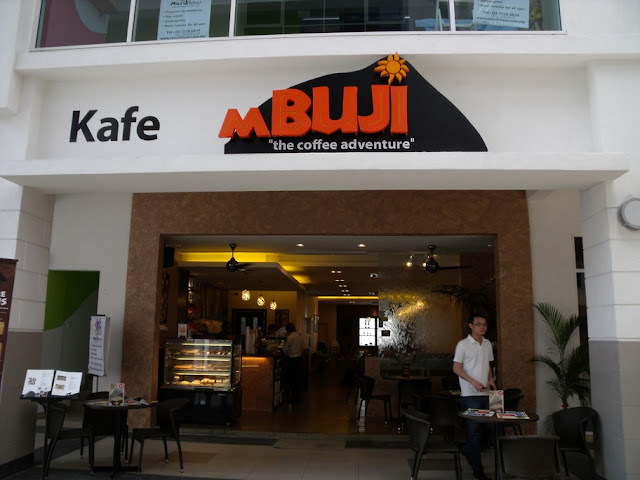 Quite a few readers here had mentioned about MBUJI CAFE in Sunway Giza, Kota Damansara. Really like the Logo. The “m” stands for Mountain. 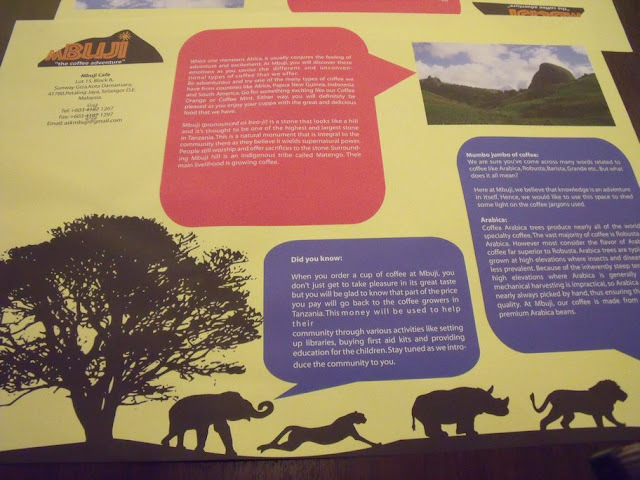 It’s Mountain Buji is Africa. 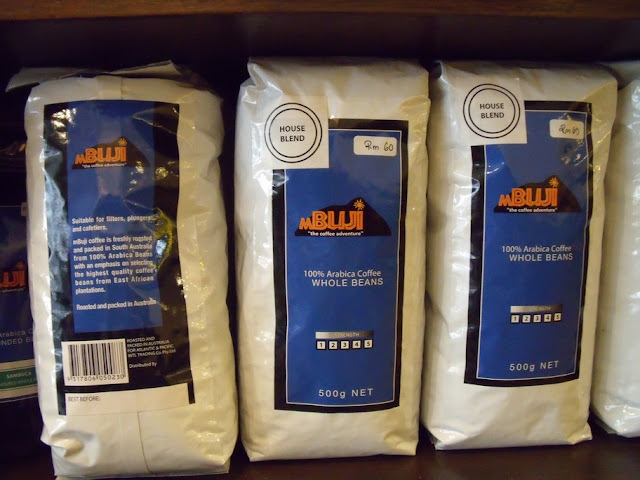 The Story of mBUJI on each table. Very interesting menu. Personally I’m not too keen on the word “boiled” to go with my coffee. Not prepared to take the risk, I ordered something more familiar to test water. I shall refrain from making comments since these pictures turned out quite sharp. I shall leave it to all you discerning coffee lovers. 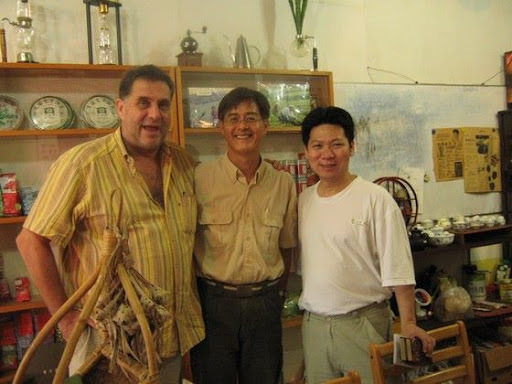 This entry was posted in Coffee, Malaysia and tagged mBUJI on July 28, 2010 by KF Chan. Had my first trip to Kuching to visit my friend “Ralph the Bear”. Surprisingly, Kuching is quite a vibrant city. I didn’t really have much chances to visit many coffee place. Lot’s of drinking-holes though. 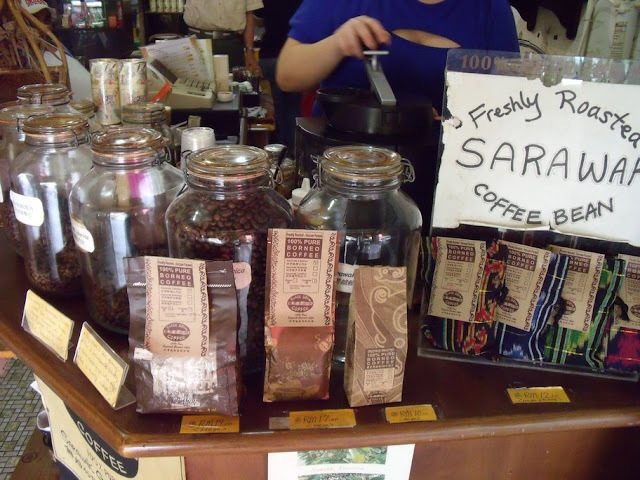 But luckily, I did manage to visit THE COFFEE PLACE in Kuching. 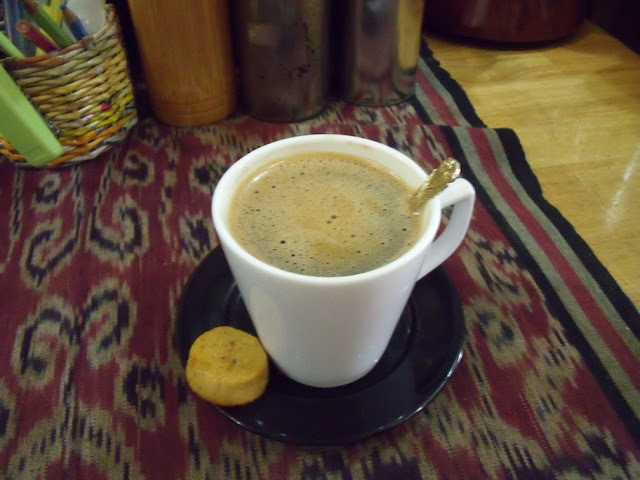 My Delightful cup of Sumatera Mandhling. Brewed by a forgettable Super-Auto machine. But the coffee is as fresh as you can get. Just a few days after roasting. 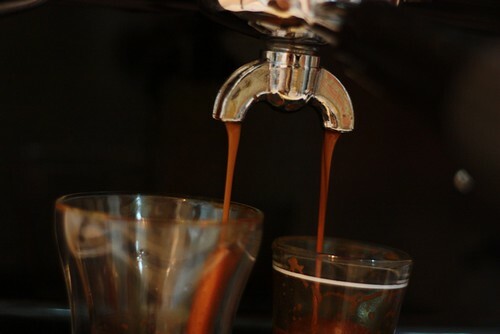 Flavourful, clean, full body as a Sumatera should be. 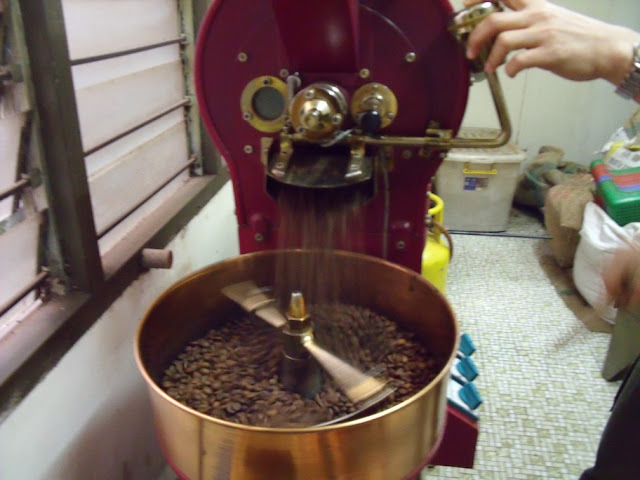 Just shows the skills of the hands that does the roasting. How is it done? Let’s see what is happening at the back of the cafe. They say a picture is worth a thousand words. But a Video may also worth a thousand pictures. And who is the Sifu behind the BEANS? 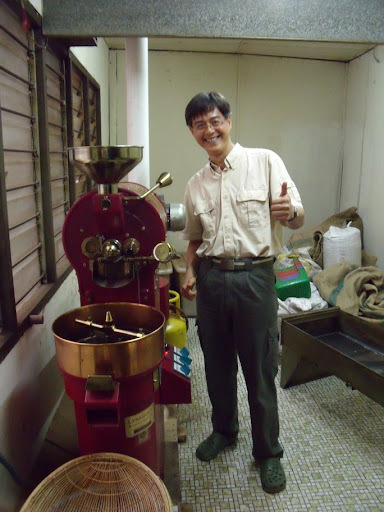 Mr. Chang of Black Bean Coffee. It is a Delightful Little Place. Homely and Cozy. The Bear, The Man and The Boy? 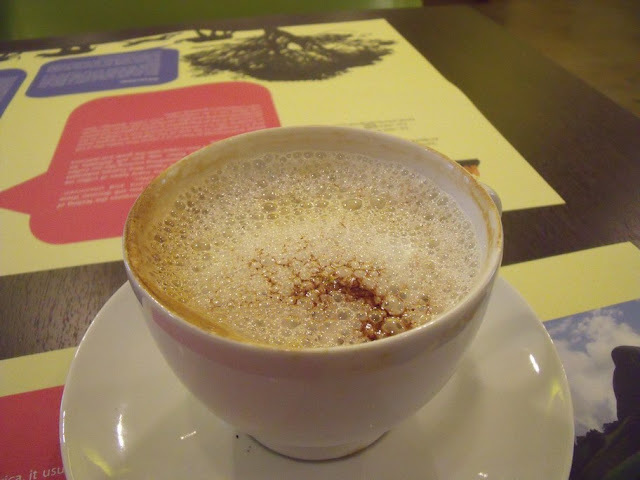 I thoroughly enjoyed my experience at Black Bean Coffee. 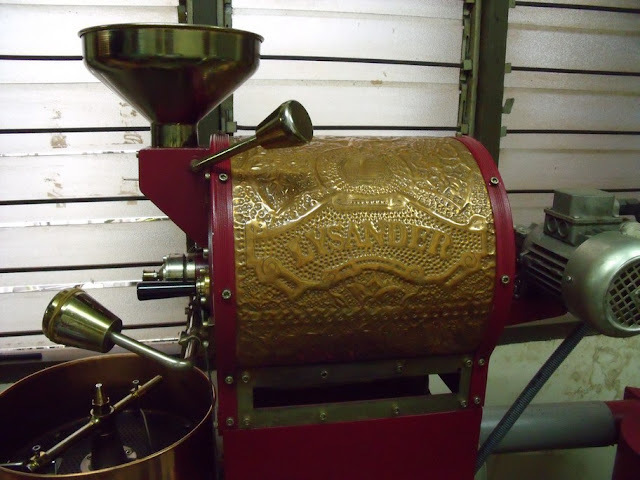 Reputed to be the best roasted in the whole of Borneo, it is not without it’s challenges. 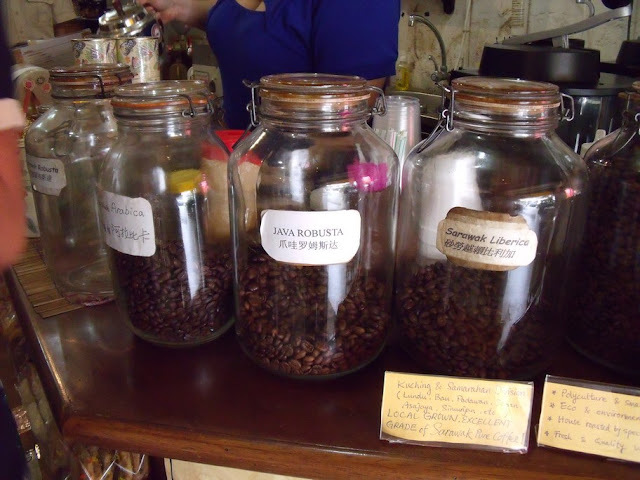 Supply of good quality local Liberica and Robusta is lacking. 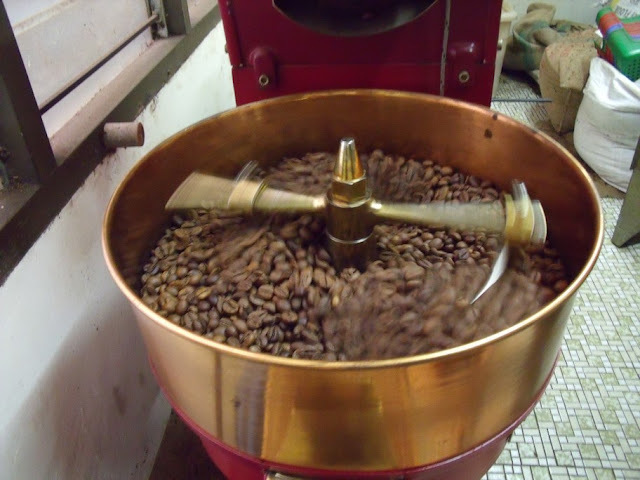 Import of good quality Arabica is difficult and expensive. 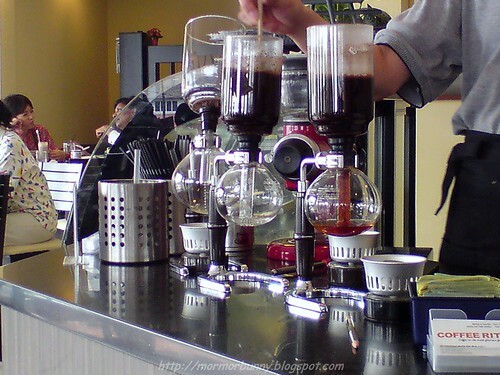 When will we see good times in our Coffee Industry? When can we get rid of these AP matter on importing green beans? Sigh… We need a really really BIG CHANGE in Malaysia. My special thanks to Ralph the Bear for his excellent hospitality. He’s an excellent cook and well verse in the world of wines, vodka and whiskey. I have never had so many different types of drinks in a single day. 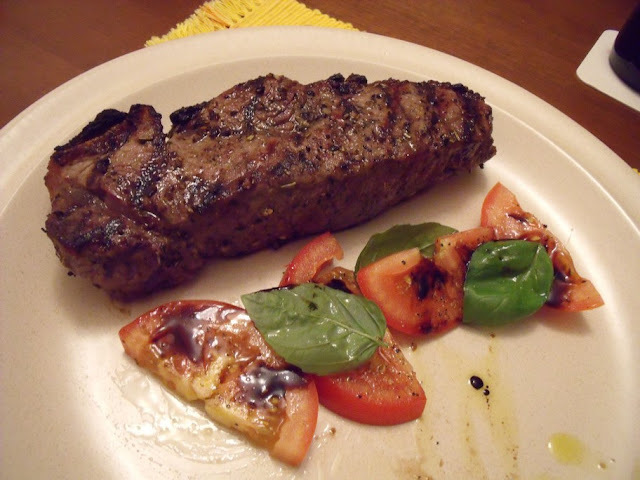 Here are some lovely food from the Bear’s Lair. 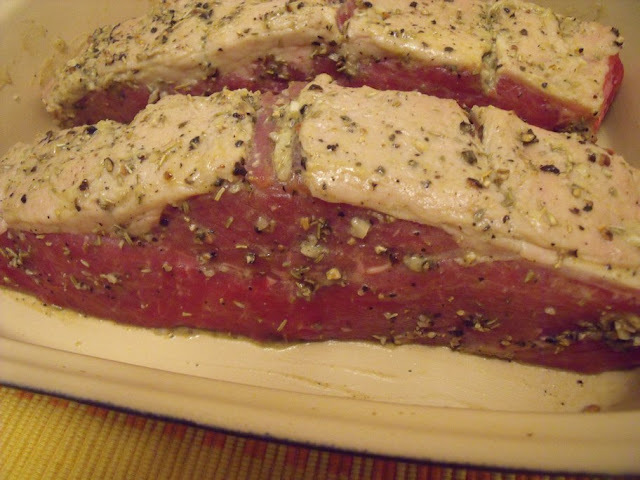 A 2 inches thick piece of freshly chopped and marinated steak. The first time I had mine Medium Raw. And that is my weekend of coffee, wines, vodka, whiskey and steak. 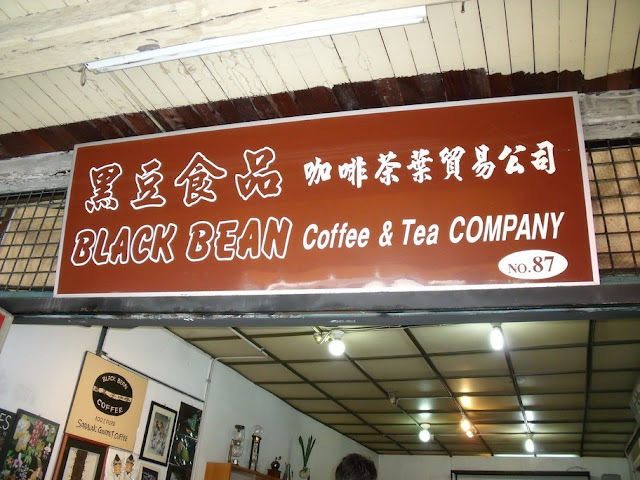 This entry was posted in Coffee, Coffee Beans, Malaysia and tagged Kuching on July 28, 2010 by KF Chan. 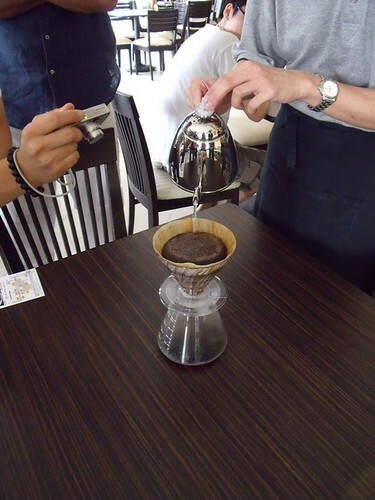 Come share your thoughts on all things Coffee in the best Coffee Forum in Malaysia. I don’t know what the heck am I talking about. 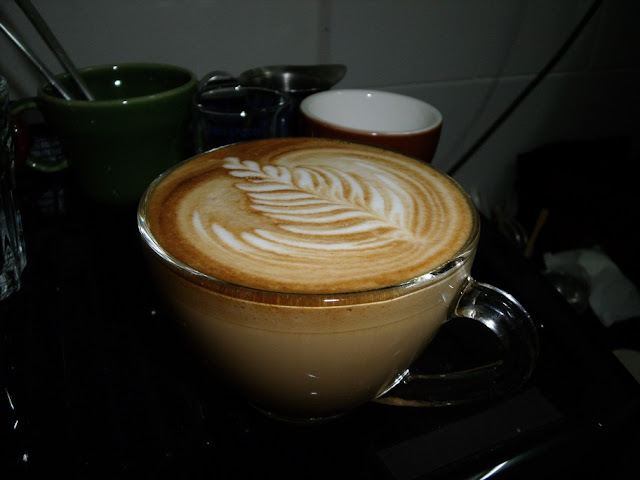 Just go over to the BEST COFFEE FORUM IN MALAYSIA and have a cup of yummy coffee. 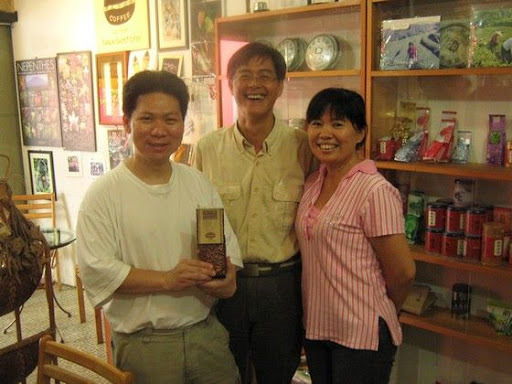 This entry was posted in Coffee, Malaysia on July 27, 2010 by KF Chan. Which one is brewed coffee? So? Which one is brewed coffee? Think about it. After you have your answer… scroll down for the answer. How many times have you heard these phrase in Malaysia? In cafe? From the coffee suppliers? These are what you call “rolling of the eyes” moment for me. I mean, what the heck is “brewed coffee”? And to hear these phrase from coffee suppliers really takes the cake. 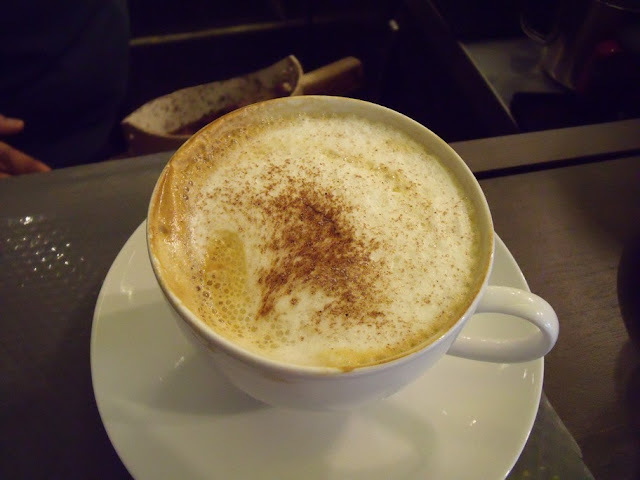 All coffee that you can drink is BREWED COFFEE. If you don’t brew the coffee, you can’t drink them. Else you will be eating coffee ground/powder or chewing coffee beans. 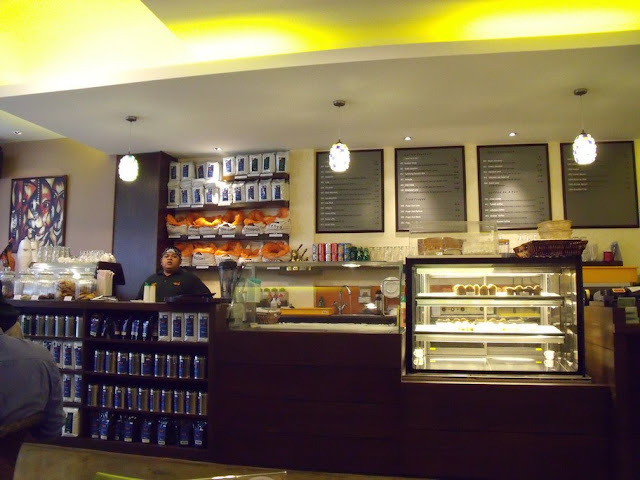 “We only serve brewed coffee” – duh… You are not serving me a cup of coffee beans are you? “Machine that make espresso as well as coffee” – duh… You mean the espresso you served me is NOT coffee? 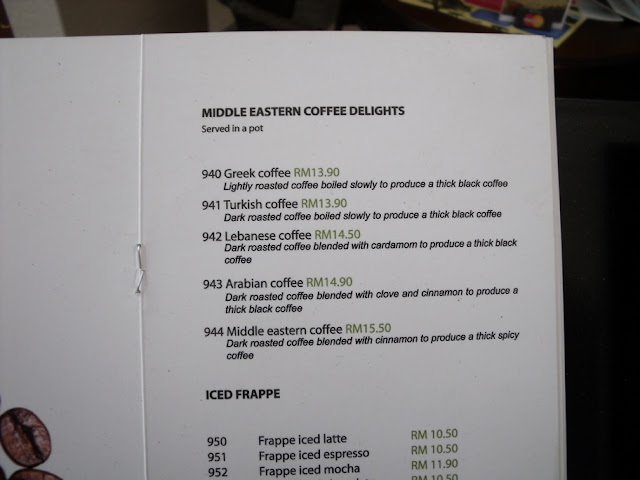 This entry was posted in Coffee, Malaysia on July 5, 2010 by KF Chan.